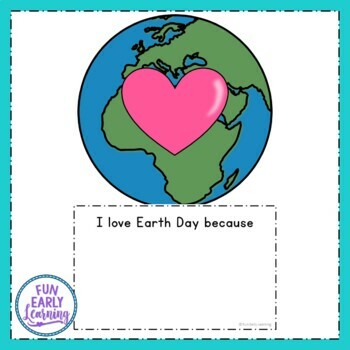 Get ready to celebrate and learn about Earth Day with our fun Earth Day activities for kids! 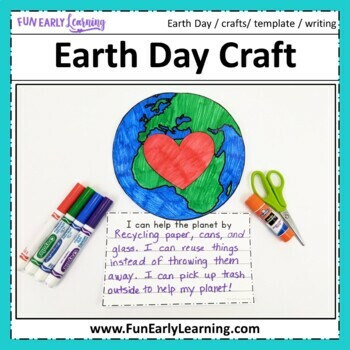 This is a free printable with kid's craft and writing prompts. 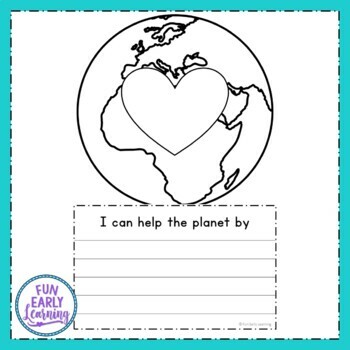 Perfect for teachers in the classroom and parents at home! We have provided 2 different versions of the writing prompts based on your children's ability. They can either write the prompt or illustrate it. So many fun possibilities! The prep is easy! Simply print, grab some crayons, scissors and glue. Then enjoy! - Follow our TPT store by clicking on ‘Follow Me’ next to our Seller picture to receive notifications of new products, freebies and upcoming sales. Check out our other related products - we think you'll like them!